The biggest myth about bankruptcy is that it will completely ruin your credit. The New York Federal Reserve conducted a study recently which shows this belief to be a half-truth. It is true a bankruptcy filing can remain visible on an individual’s credit report for up to 10 years. And yes, because it is on the report a lender may look more closely at the individual’s financial stability. But, the study reveals that bankruptcy filers’ credit scores recover quicker than those continuing to struggle in debt. Because of this quicker recovery, bankruptcy filers had greater access to credit than those continuing to struggle on their own. It seems a bankruptcy filer has a cleaner slate to begin building a fresh financial history. The following 3 actions can help speed up the recovery of your credit if you have filed bankruptcy. 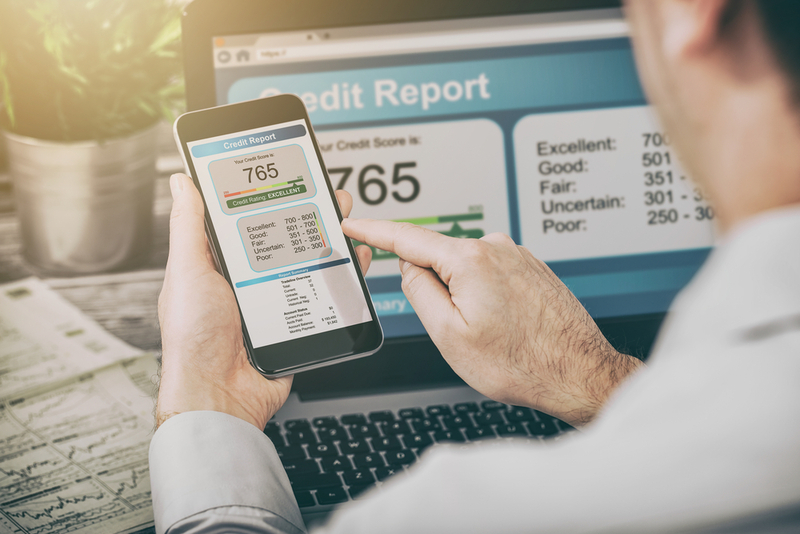 A few months after your bankruptcy discharge you need to begin monitoring your credit reports from the three major credit bureaus: Equifax, Experian, and Trans Union. You need to make sure all debts discharged through your bankruptcy have the correct classification. They should have a classification of Discharged in Bankruptcy with a balance of zero. They should not have a classification of Open, Delinquent, or In Collection. If they do not have the correct classification, you have the right to dispute the issue with the credit bureau. You can also report any other errors you may find in your credit report. You can receive a free credit report from each of the bureaus once a year by going to annualcreditreport.com. To learn how to dispute an error on your credit report go here. If you are not already using a budget to track your income and expenses, then it would be a good idea to start. Using a budget to help manage your money each month can help you ensure all your bills will be paid on time. Even one late payment that is reported to a credit bureau can affect your credit report and score. Plus, lenders tend to not look as unfavorably on a report of bankruptcy if they see you have diligently handled your finances since then. To learn more about creating a budget go here. Also, financial advisor Dave Ramsey has created a budgeting app, Every Dollar, that you may find useful. As soon as you get discharged from bankruptcy, you may receive offers to sign up for new credit cards. These offers seem great. But, many are from subprime lenders who will charge high-interest rates and fees. To rebuild your credit without getting yourself into more financial trouble you may want to consider using a secured credit card first. A secured credit card is one that is backed by funds you deposit into a savings account. Once making the deposit, you receive a line of credit. Your credit limit is typically equal to the amount of the deposit, minus any fees. While it may take some effort to get your credit to the highest level after bankruptcy, it is definitely possible. And, as the Federal Reserve study reveals it is likely easier to achieve good credit after bankruptcy than it is to continue struggling in debt. If you are tired of financial struggles and want to see if bankruptcy could offer you a fresh start, contact us today for a free evaluation.